Mineral insulated thermocouples cover temperature ranges between -200°C and 1250°C (-250°C to 1350°C for short durations in some cases) with good accuracy and stability throughout their life span. The main advantages are:- stability, durability, cost-effectiveness, quick response, ability to be formed into almost any position, they can be used in almost every industry, and can be tailored to your individual application. Mineral insulated thermocouples consist of an outer metal sheath, housing thermocouple conductors which are embedded in a highly compacted magnesium oxide powder. This construction allows the sheaths to be bent or formed to shape as required by the user, but remain rigid during in use. The whole assembly is hermetically sealed giving the conductors full protection from the operating environment. Available from TMS in types K, N, T, J, R & S with standard diameters ranging from 1.5mm to 6mm and manufactured using Class 1 thermocouple material. Available in 2 core (simplex) or 4 core (duplex) with a range of outer sheath materials including Grade 25/20 stainless steel (corrosion resistant and suitable for use in sulphur bearing atmospheres), Inconel 600 (severely corrosive atmospheres to elevated temperatures) and Nicrobel D (recommended with type K and N thermocouples with good high temperature strength and excellent performance in oxidising, carburising, reducing and vacuum atmospheres). 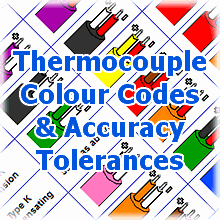 The measuring (hot) junction can be insulated, grounded or exposed and thermocouples can be supplied with various types of cold end seal configuration in the form of stainless steel plain or threaded pot seals; extension or compensating cables; standard and miniature plugs and sockets; weatherproof, fliptop, and angle entry termination heads. In addition various compression fittings can be offered to establish immersion (process entry) lengths. We can supply them with UKAS Calibration performed by our own ISO 17025 Accredited Laboratory. We also offer batch calibration of coils and call-off arrangements for large quantities, contact our sales office for more details. Range of standard size MI thermocouples with 100mm twisted pair tails. Range of standard size MI thermocouples with 1m twisted pair PTFE insulated lead. 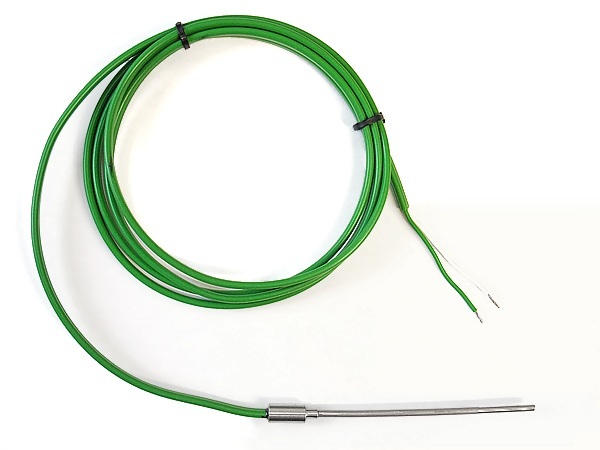 Range of standard size MI thermocouples with 1m flat-twin PVC insulated lead. 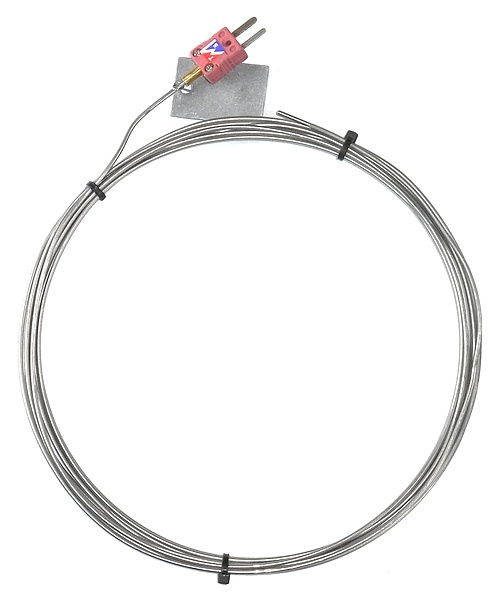 Range of standard size MI thermocouples with 1m flat pair PFA insulated lead. 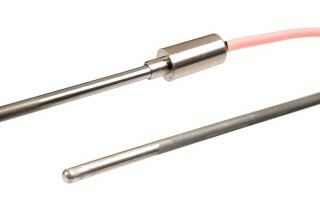 Type T thermocouples, in a 3mm diameter mineral insulated sheath, terminated in a large plain pot seal with a 1m long PTFE flexible lead with a minature thermocouple plug.